Brilio.net - Indonesia is known for its diverse culinary range. But it’s not only its food that deserves kudos. Many traditional Indonesian beverages are also not only healthy, but incredibly delicious. Here are seven types of Indonesian beverages that are certain to please your taste buds and help you stay healthy. This traditional beverage can be found in many regions throughout Indonesia. And it features ingredients that are essential to maintaining a healthy diet. STMJ is made by blending fresh milk, honey, ginger and duck or chicken’s eggs. Many believe that it helps improve stamina, especially for those who exercise regularly. STMJ is so well known in Indonesia, most herbalists will have a recipe for the traditional beverage on-hand. 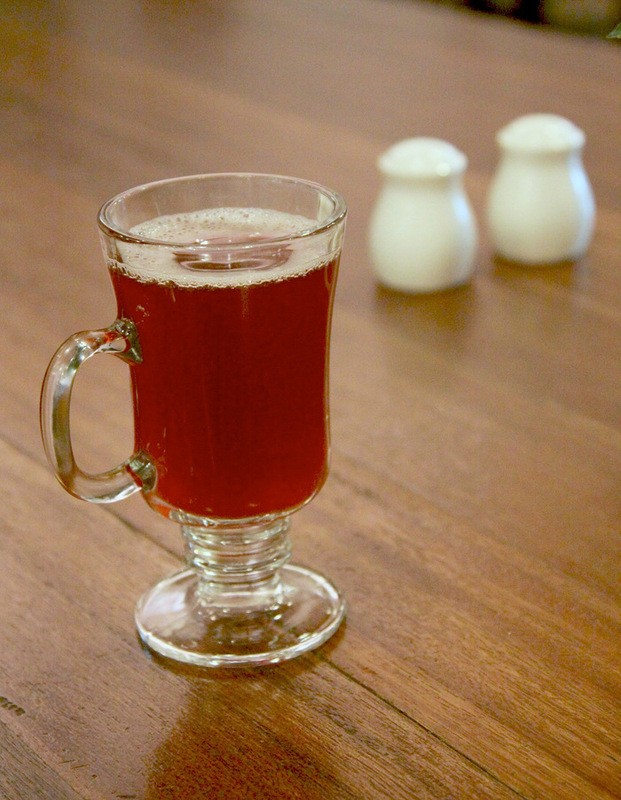 This sweet brown beverage originated in Sunda, and is ideal for curling up with when the weather turns cold. Bajigur blends palm sugar, ginger, salt, vanilla powder and coconut milk, giving it a distinctive scent and rich flavor. Many Indonesians believe that bajigur can help reduce fever and stomach ailments, as well as other illnesses. If that last beverage piqued your interest, then bandrek will also be right up your alley. It’s similar to bajigur, but with one significant difference – a blend of rich herbs. In addition to ginger, bandrek contains a mixture of lemon grass, cloves, young coconuts, milk and fragrant pandan leaves. 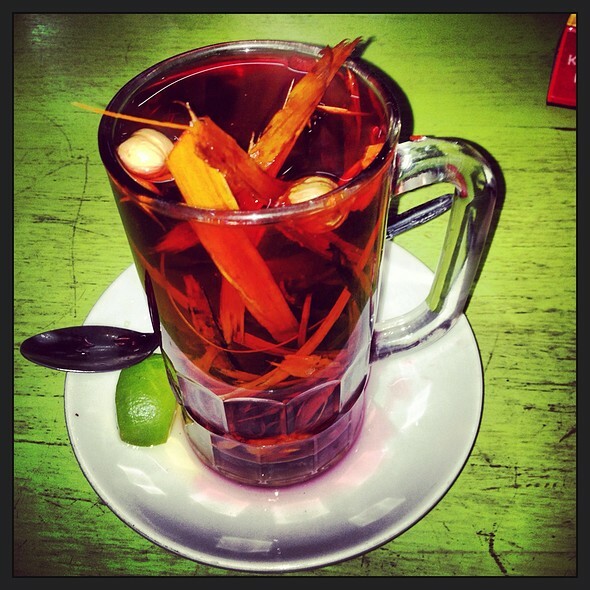 And it’s designed to help relieve coughs and colds and warm you up when there’s a chill in the air. Bandrek has also been known to help increase appetite and relieve everyday aches and pains. In Javanese, ‘wedang’ means beverage and ‘uwuh’ means organic trash. But don’t let this traditional beverage’s name scare you away. Wedang uwuh isn’t made from actual garbage – it got its name because the natural leaves that are added to the beverage sometimes resemble scattered trash. And its flavor and health benefits make it an essential part of many Indonesian diets. 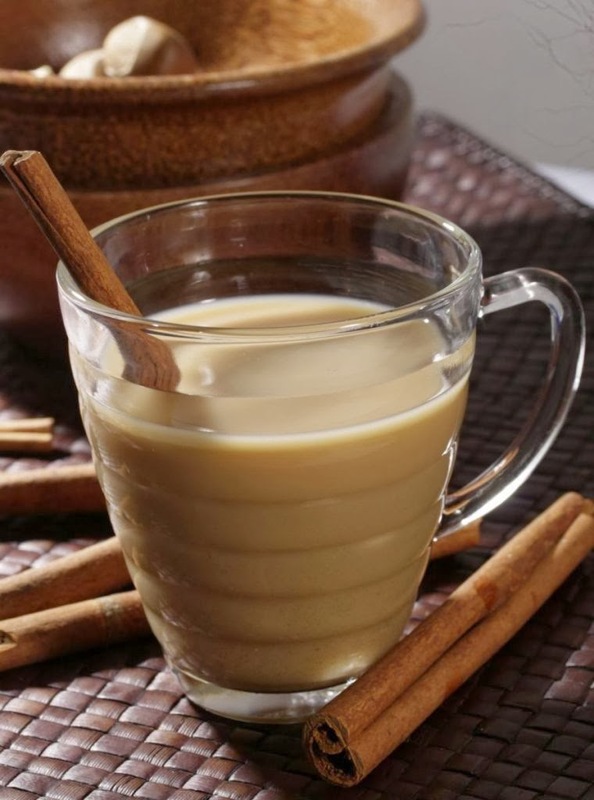 Wedang uwush combines ginger water, secang woods, sugar cube and brown sugar. But what gives it its distinctive name is the combination of the leaves, flowers, stems and roots of cloves, cinnamon, nutmeg and lemon grass. Wedang uwuh is filled with antioxidants, and can also help lower cholesterol. This beverage, native to Java, packs a powerful punch with just a few ingredits. Wedang ronde is made with ginger syrup, a mixture of cinnamon, lemon grass, peanut, bread and the fruit of a sugar palm, called kolang-kaling. But the piece de resistance is ronde, a small ball of dough made from glutinous rice flour and filled with mashed peanuts. 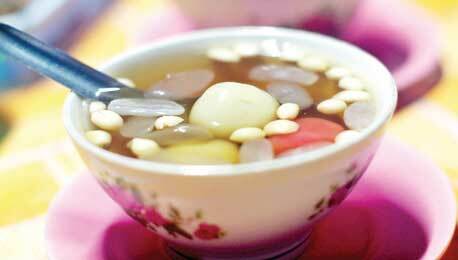 Wedang ronde may sound a bit exotic, but its health benefits are plentiful. It’s been known to prevent motion sickness, relieve headaches, cure sore throats, lower cholesterol and decrease stroke risk. 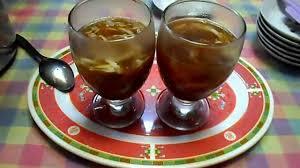 You can also find wedang ronde in Yogyakarta and Solo. 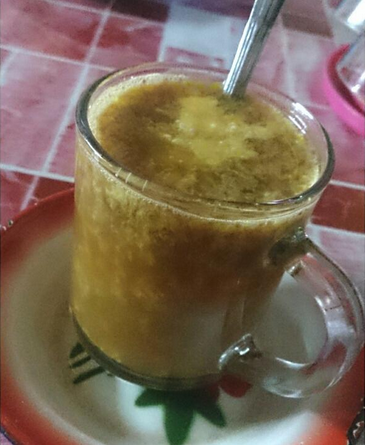 Don’t get too excited – this Betawi beverage doesn’t contain any alcohol. But that doesn’t mean it’s not worth your time. Pletok beer is made with brown sugar, sugar, chilies, kapol, various roots, and the essences of ginger and selasih flowers. This Indonesian traditional beverage has a bit of a bite – it has an undeniably spicy and bold flavor. But has been known to instantly warm the body. You can also add ice cubes for a cool drink on a hot day. And beyond its refreshing qualities, you can also enjoy pletok beer’s health benefits, which include improving blood circulation, relieving migraines and insomnia and improving cold symptoms. One of the most popular traditional drinks from West Sulawesi, it’s easy to find Saraba on the streets of cities across the region. 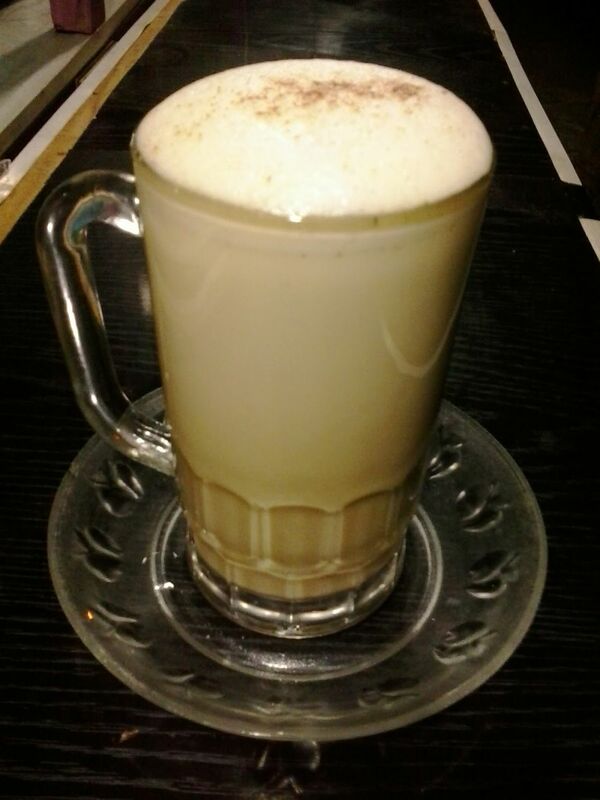 It’s made from palm sugar, egg yolks, milk, pepper, gingers and cinnamon – a rich combination for sure. Saraba can improve stamina, increase appetite and aid digestion. So it’s no wonder why it’s appealing for its flavor and its health benefits.